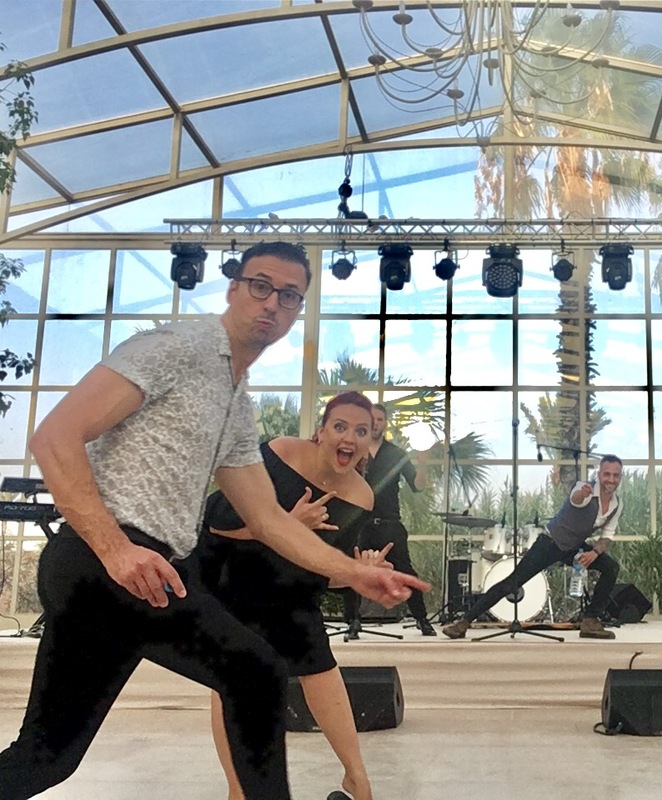 Morrocko-ing and Rolling: The Talent Goes to Marrakech! 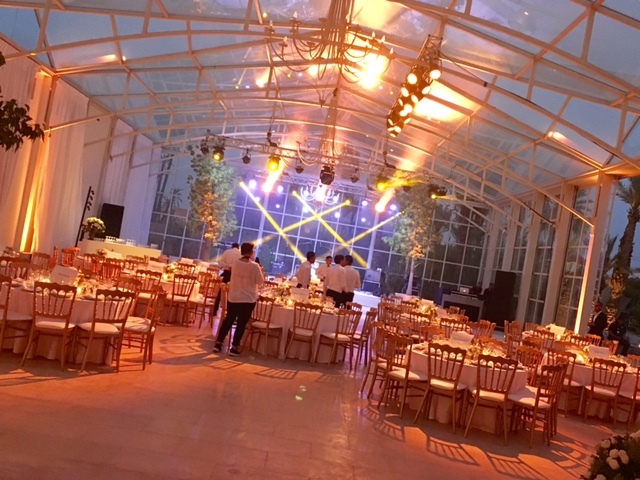 As one of the most acccliamed wedding bands, we like to play to large receptions, small receptions, local weddings and weddings abroad! 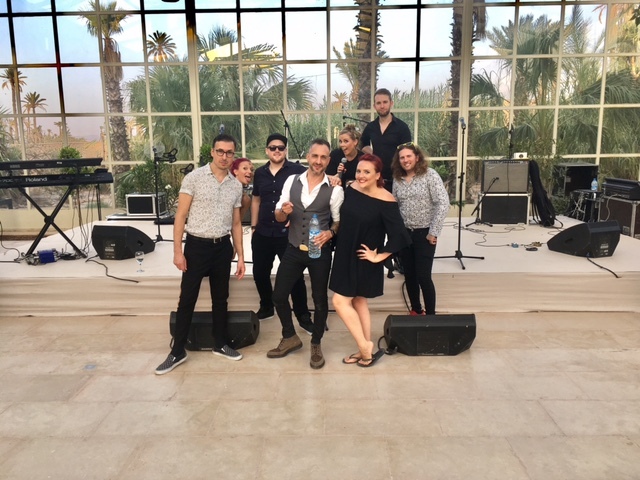 Recently, The Talent wedding band gathered together, along with our suitcases, sunglasses, our tried and tested repotoir of over 500 classic songs and the excitement to entertain a wedding party in Marrakech! 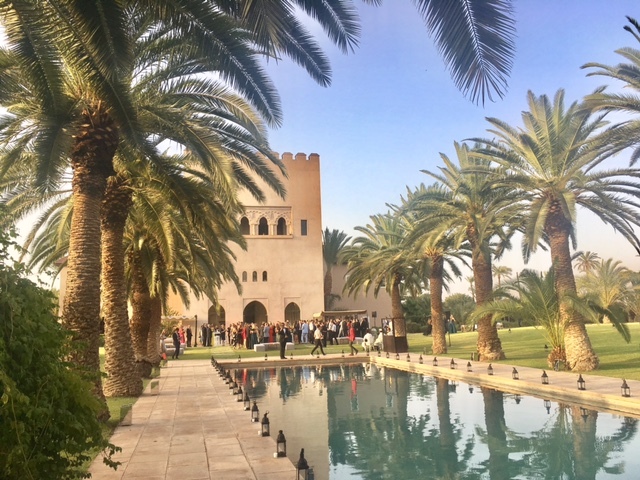 Marrakech is one of the Talents newer locations, however it is becoming a favourite destination for couples to hold their wedding for its many unique characteristics- and we couldn’t agree and encourage this more! 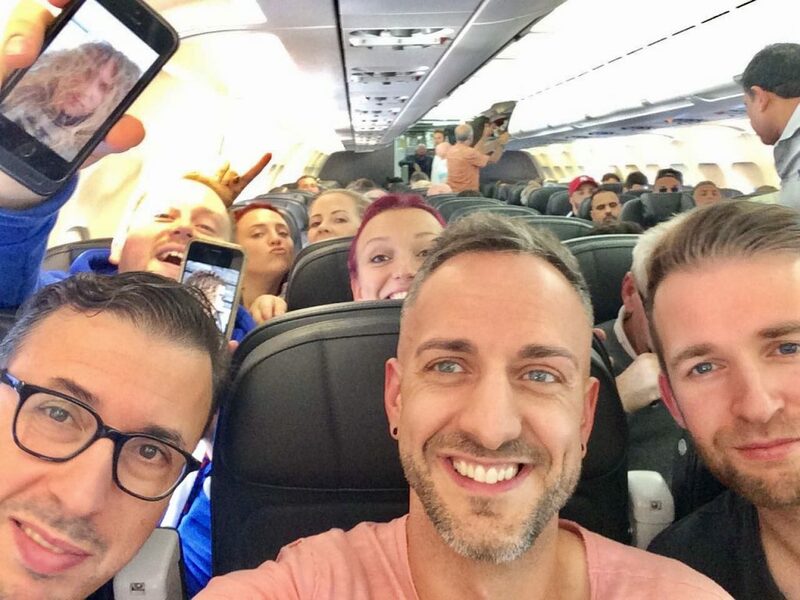 Although Jamie couldn’t be with us on our trip, he managed to make an appearance for the group selfie- through facetime! We managed to get everyone in the shot. Off we go! 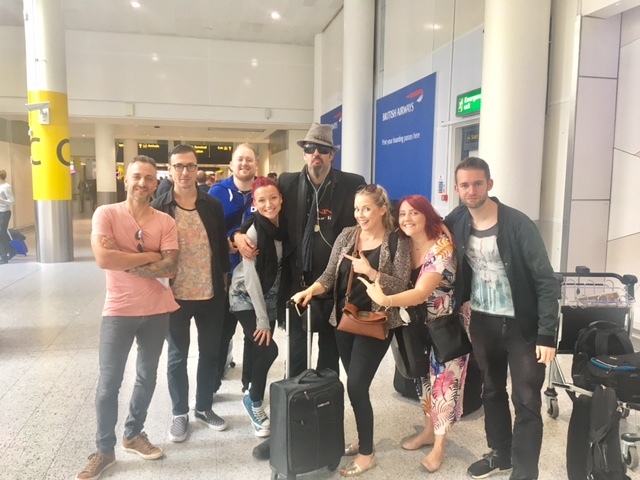 There’s always time for an impromptu airport group shot! Shout out to Shanks here looking like he’s ready for the Moroccan sunshine! 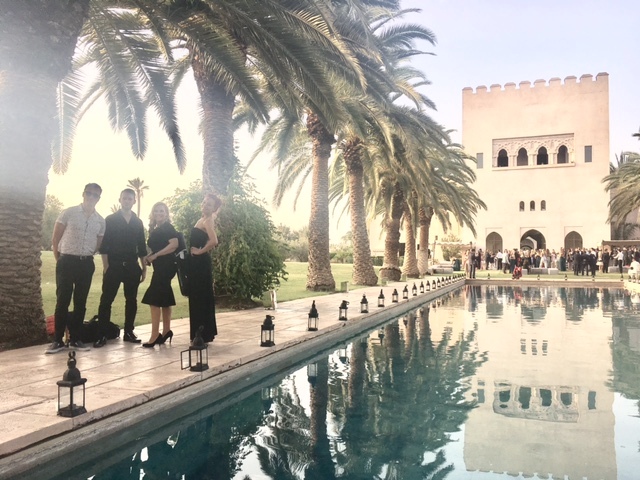 The venue was the stunning Ksar Char-Bagh. Grand, intricately detailed, and above all, perfect for a wedding. The talent was super excited to see where we were going to be performing here. Perfect selfie setting, with the palm trees in the background. We love that Kirsty is embracing Marrakesh with her head jewel! A few of the team taking in the beauty of the hotel. This was the perfect opportunity to push Kirsty in the pool, right? The Talent love to keep the fun rolling, even when working! Warming up ready for the night ahead! Neon sunglasses at the ready! Soundcheck, ready. Vocals, ready. Wine in hand, ready! Amongst the crazy selfies and action shots, we managed to get the one group shot. Excited about the performance! The venue on its way to being ready. Those lights were as hot as our performance. Our stage for the evening. 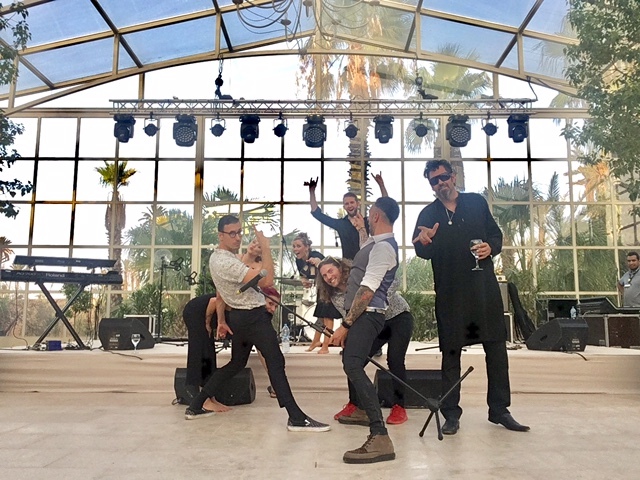 The sun has set in Marrakesh and The Talent was ready to get rocking in Morocco! 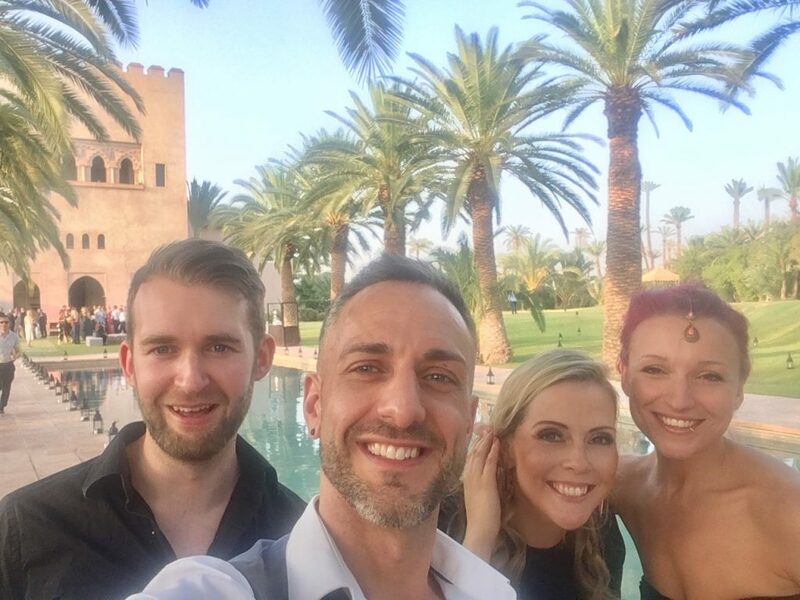 The Talent is renowned across the globe, and its fair to say we had a blast at this wedding in Marrakesh. One of our greatest strengths is that we are adaptable as a band; meaning no limited options! You want us to fly to Morocco to entertain your wedding party? We sure will. 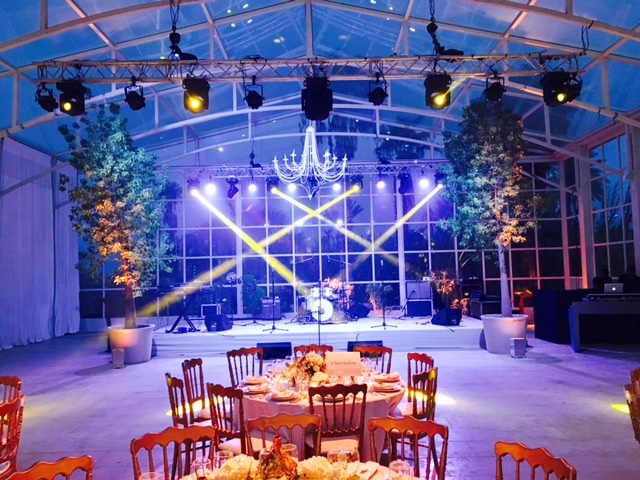 You want us to be your wedding band for hire in London? We will get tube, bus and tram to get to you! 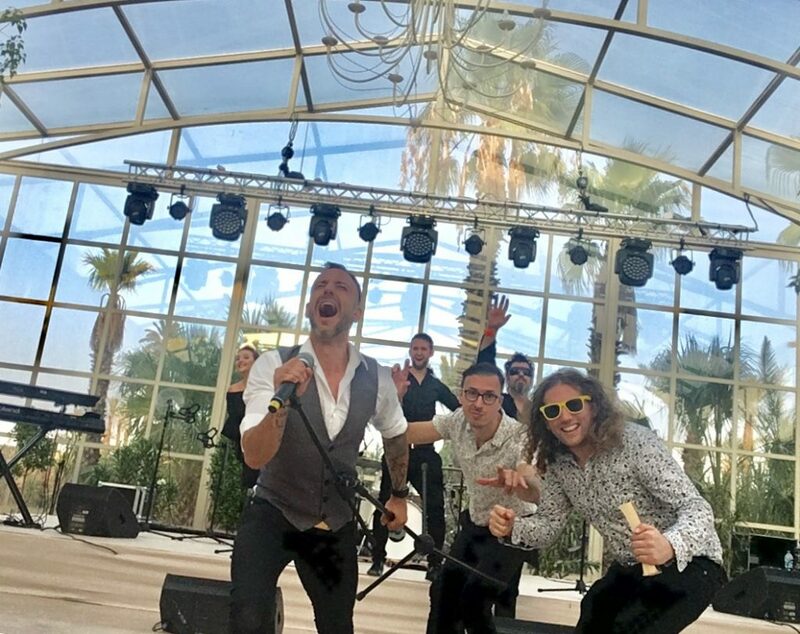 Whatever your wedding plans, if you’re looking for a truly great party band who is full of energy and stage presence, look no further, as The Talent can help. Simply get in touch with us for more information. Our suitcases are already packed! This entry was posted in Blog, News, Wedding Planning, Weddings. Bookmark the permalink.